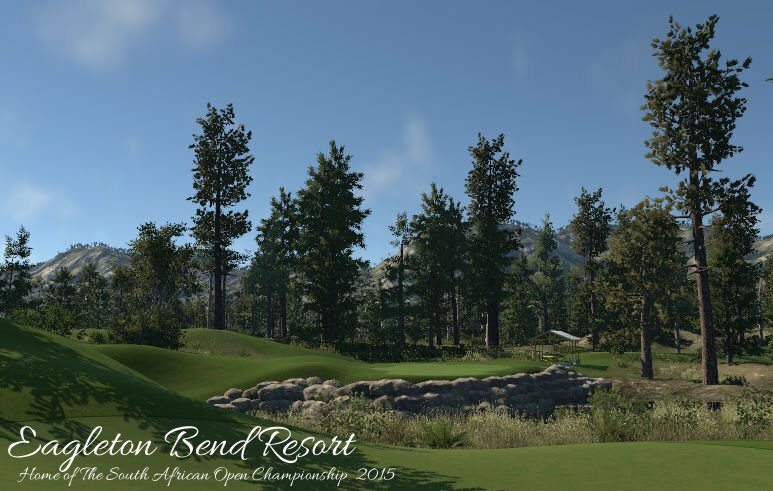 Set fictionally in Bend, Oregon, comes a refreshing and relaxing golfing experience. This 7,116 yard par72 course is built to accommodate golfers of all skill levels. This is my second design using the full surface palate, and takes a stark detour from the minimal planting and harsher terrain found on my last course Daggerfen Manor. Eagleton Bend Resort was built from the ground up, and features heavy planting of grasses/bushes in low-lying area, heavy use of the soft round and oval brushes to create a gentle flow, and a bigger focus on the contouring of all elements of the course. 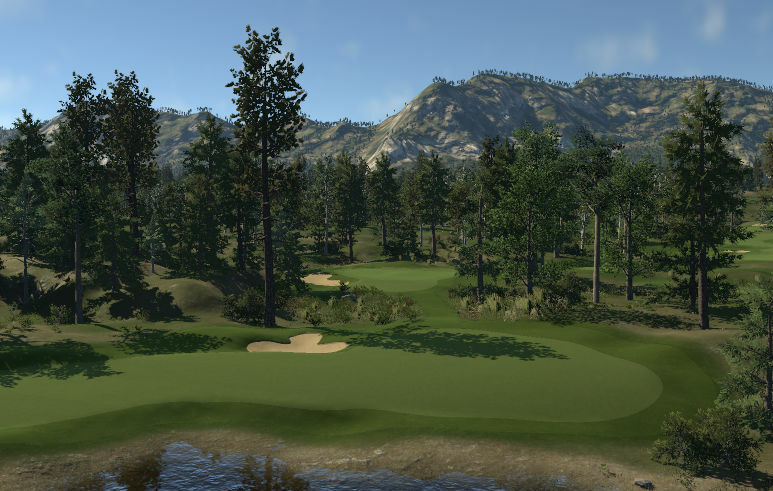 It is my first course to really try to immerse the golfer on a course which looks like they could play and enjoy in real life. Eagleton Bend is an absolutely breathtaking course, one the most beautiful courses I have played. The only features that did not appeal to me were that the greens were pretty unguarded, yes there were bunkers and other hazards, but they never really factored in. The only hole that I did not enjoy was the 9th with a 50 foot increase from fairway to green pretty abruptly. 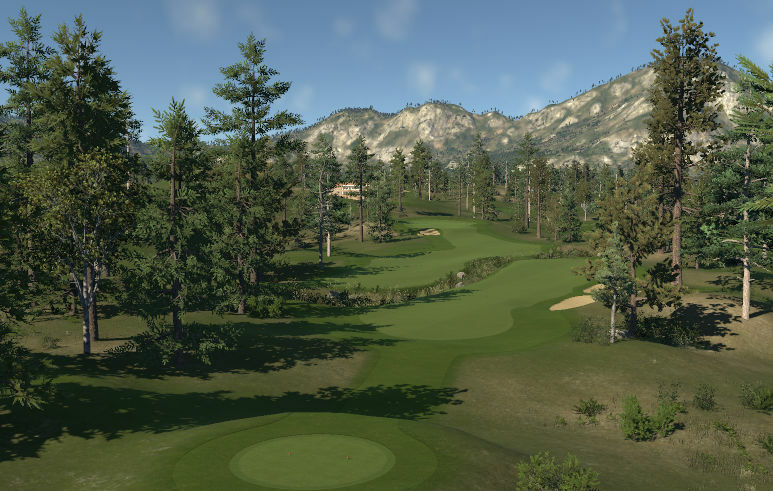 However, the planting on the course outweighed any minor blemishes and this course is an absolute gem that everyone can play and enjoy because it is not too difficult.